The Pirate Empire: Pirates and Slavery in the New World. Pirates and Slavery in the New World. The Golden Age of Piracy corresponds closely with the beginning of the age of slavery. Both slavery and piracy are woven together in the history of the Caribbean. It has been estimated that as many as 90 percent of pirates were former slaves. If these numbers seem unnaturally high, remember that, at the time, Europeans were slaves as well as Africans. You have probably read about this in history, although European slaves are often referred to as “indentured servants.” Let’s take a look at that. “Indentured servants” are often portrayed as poor people who wanted to immigrate to the New World, and did not have the means to afford the trip. Because of this, they signed on to work for richer individuals for a set period of time – often seven years, in order to pay for their passage. While this undoubtedly happened, especially in North America, in the Caribbean the seven-year term held a more grim aspect. The average life of a worker on a sugar plantation was only 2 years. Europeans were not physically equipped to live in the tropics. Europe at the time was undergoing a Little Ice Age, and temperatures were at record lows. It has been estimated that in England, the temperature never rose above 75 degrees Fahrenheit during all of the 1700’s. Leaving this place coming to the tropics, where average temperatures were in the mid-80’s, was a death-toll for many. There was no air conditioning. There was no such thing as sun-block. Laborers worked in the sun, with no available shade and little access to clean water. Clothing was traditionally made of wool. Newcomers faced exotic diseases, and even more exotic foods, which they were not willing to eat. Furthermore, “owners” of the indentured had no motivation to care for these “servants.” No oversight body protected their interests. They had no legal rights, and could be whipped, tortured, even killed with no consequences for the owner. Indeed, illiterate farm workers, living in the wilderness, would not be able to assert their freedom, even after their term was up. They were, in short, slaves in fact if not in name. Nor were many of them willing. Convicts, prostitutes, the poor, and victims of Europe’s religious wars were often “transported,” which is to say, ripped from their homes and sent to the Caribbean. European powers desperately needed workers on the new plantations, and no sane person would sign up to work on a sugar plantation. France had its own problems with Caribbean slaves. Upon establishing colonies in the New World, notably Martinique, the Catholic French decided that this would be a perfect place to park their religious minority, the Protestants. First they sent their Protestant nobles, giving them land grants. But when the French Government then tried to enslave the poorer French Protestants, and sell these people to the Protestant land owners, the rich Protestants were so uncomfortable with the arrangement that they freed these slaves. Then they all moved to North America, depopulating the island of Martinique for decades. In the meantime, wars and expanding trade produced a demand for sailors that also outstripped supply. England’s government responded first by paying men to recruit sailors. Recruiters simply bought sailors drinks until they were too drunk to know what they were doing, then convinced them to sign the papers. 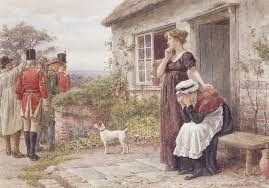 When that didn’t work, tricksters resorted to throwing silver coins into the sailor’s beer mug when he wasn’t looking. “Accepting” this money was excuse enough to enlist a man in the Navy against his will. This produced a demand for glass-bottomed mugs. 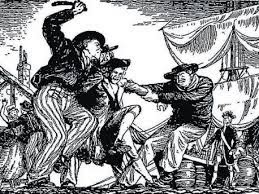 When all else failed, the government authorized “press gangs” to simply round up sailors, force them onto ships and sail away with them. The sailor’s families were left behind, and often the men were kept on the ships for years. Captains knew that if they let the men go ashore, even for a single day, they would likely desert, so they were held virtual prisoner. Wages were promised but might take years to arrive, if they ever did. And when one of the many wars was over, the navy saw no reason to end a sailor’s service by transporting him back home. He was simply dumped in port, wherever the ship happened to be. This too, was slavery in fact. By the time of the Golden Age, most of the population of sailors had either lived in conditions of slavery or had spent a life working hard to avoid it. Into this came the African slave trade. Much has been written about the horrors of the Middle Passage, the crowding, stench and death. At the time, Africans were doing what Europeans had done for years, scraping up their own unwanted, poor and the unlucky to make slaves. But the need for massive numbers of unpaid workers in the European colonies changed the practice. Never before had slaves been wanted in such massive numbers. And the advantage of enslaved Africans was immediately apparent. These people did not die of heat stroke. They did not break out in blistering lesions from the sun. They were hardy and resistant to tropical diseases. Soon, they were the slaves of choice for Caribbean plantations. Very often, pirates encountered shipments of slaves coming into the New World. Their responses were varied. 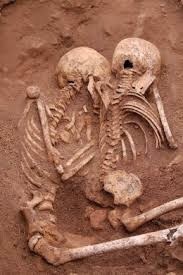 Sometimes they simply took and sold these people as plunder, making no distinction between humans and other goods. But on other occasions they made an effort to free the slaves. There were also several instances where a crew of pirates would take other goods from a slave ship, then remove all the slave’s chains, open their prisons, and “let them work the matter out for themselves.” Since slaves on such a ship would normally outnumber crew by a factor of 20 to one, a bloodbath seemed assured. But where would free slaves go? They could not be expected to sail back to Africa. In fact, many Caribbean islands had communities of escaped, warlike slaves. Jamaica, for instance, had a population living deep in the mountains. They called themselves the Maroons, and were so successful at raiding plantations that they were often in danger of taking over the island. And there is some evidence that pirates helped to arm these groups… for a price. Other European traders believed that rebelling slaves were evil and unnatural. But since pirates had sworn to uphold their own personal freedom, they were sympathetic to other groups fighting for the same thing. In fact, this seems to have been a dividing line for slaves on ships captured by pirates. If the slaves wanted to fight, and if the pirates could communicate with them, (not always possible, given the language barrier) the pirates would free them. If the slaves could not communicate, or seemed more frightened than angry over their circumstance, the pirates left them in their enslaved state. The sight of a groups of armed Africans, part of a pirate crew and ready to get revenge on any Europeans they might encounter was terrifying. But even as this notion was being taught, published and preached, another radical idea was rising. Slavery had been a part of European culture since before recorded time. But for the first time, people began to be uncomfortable with enslaving people who were “like them.” British Protestants would enslave Irish Catholics, but were less happy with slaves who shared their religion. For the French, as we have seen, slavery between people who shared a church was impossible. Increasingly, imported slaves were African, because African slaves were not “like” any of the Europeans, and could not become “like” them because of skin color. Pirates agreed with this basic idea, but had different ideas about what “like us” meant. Pirates, like all sailors, were used to shipmates from all over the world. What made slaves “like them” or not “like them” depended more on attitude. 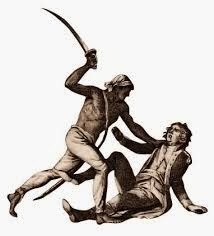 If a slave was angry, ready to be violent, and could communicate, pirates accepted them as “like us.” If they were cowed, or loyal to an existing master, then they had accepted their role as chattel and would be treated accordingly. For this reason, pirate crews tended to have a high percentage of African crew members. 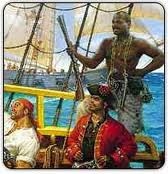 Estimates say that Blackbeard’s crew may have been 30% African, and at one point Sam Bellamy had more Africans than Europeans in his pirate crew. Pirates of the Golden Age were not only robbing to make themselves rich, they were sending a message to the powers that be. They were saying that the common man would no longer be ignored. And part of that message was free Africans, armed and facing the foe. I really like what you had to say here. I am doing a research paper and I was hoping you could provide your sources? I would greatly appreciate knowing where you got your information on pirate slave relations. I find a lot of primary sources that quickly mention slavery and blacks but it doesn't get into detail. I really do want to know where you get your sources on this because a lot of indentured servants were tax criminals and other petty convicts whose terms were usually around 6 months. Many areas in the "New World" had yet to be inhabited by whites and so labor in the form of Native American and African and Creole slaves in the Americas and the Caribbean. I don't deny that indentured slavery was a blight on many impoverished Europeans and the Irish especially, but it feels as though we're extending into partial hyperbole. I'd like to see some sources. My primary source for this is White Cargo by Don Jordan and Michael Walsh. Keep in mind that "tax criminals" can simply mean "poor." That's the point. You go to jail on some very minor charge, then get transported to the New World and end up functionally enslaved for 7 years (or longer) The original crime/sentence had little to do with it. Having been forcibly removed from your home, you now needed to "pay for your passage." It's very much like some municipalities today, which charge poor people huge fines for something like a burned-out tail light, then heap on more fines when the original one can't be paid on time. So, were indentured servants prctically slaves just in the Caribbeanm or everywhere? The Caribbean was an especially harsh place, because so few survived their terms of service. 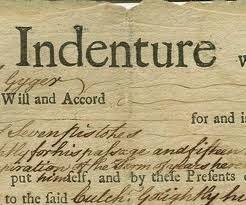 Most indenture contracts came with a deal that upon release the servant would receive land and money to set up a household, but these were often ignored by the master when the term was up. It's my understanding that it varied somewhat by region, but that "indentured servitude" was never the relatively rosy prospect that our history books led us to believe. Where did you get that around 90 percent had been slaves? That is what this post is about. Read it, and notice all the references to slavery. How to Make a Pirate Hat.